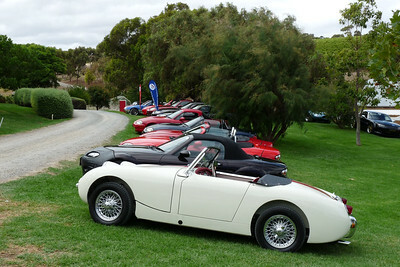 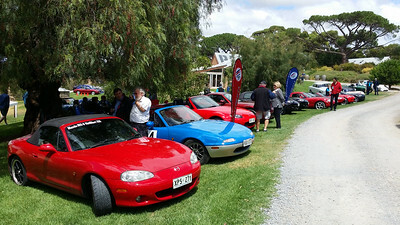 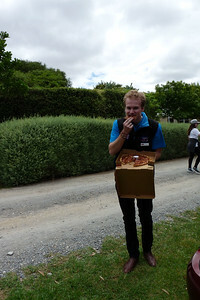 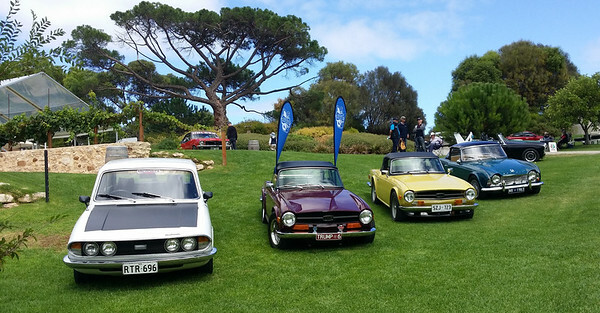 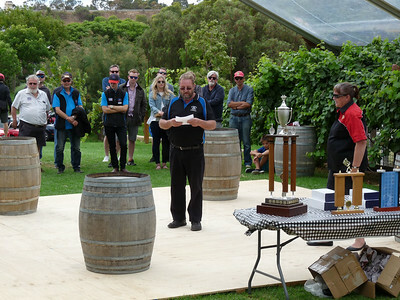 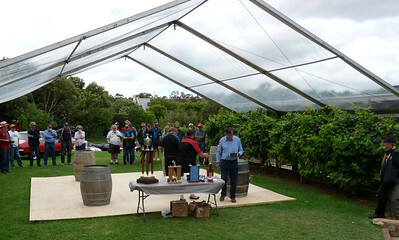 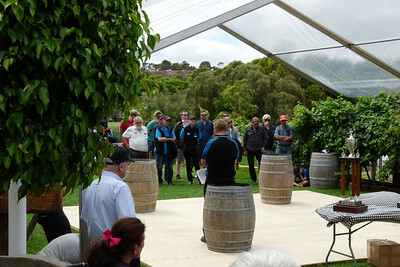 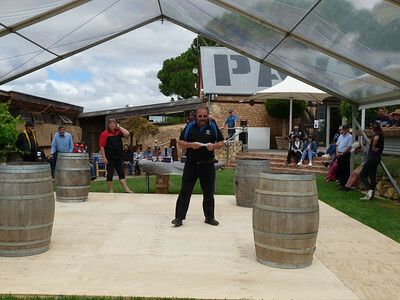 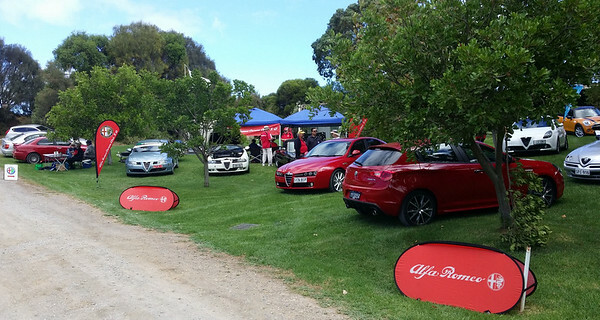 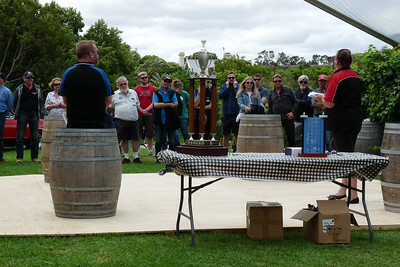 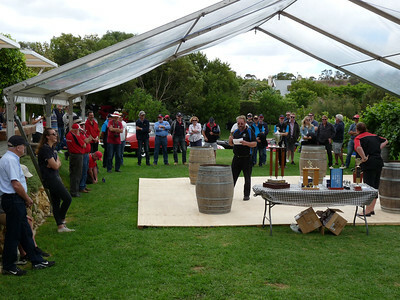 This year’s MSCA Picnic & Trophy Presentation Day was held in the leafy grounds of Paxton’s Winery at McLaren Vale. 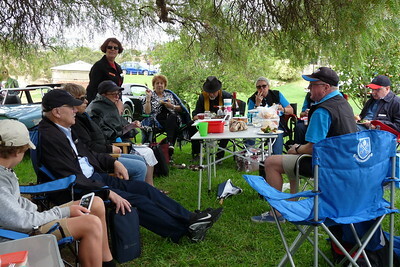 Despite brisk winds and intermittent light showers of rain, the day fined to a pleasant and - from the feedback that I’ve received - an enjoyable day for all. 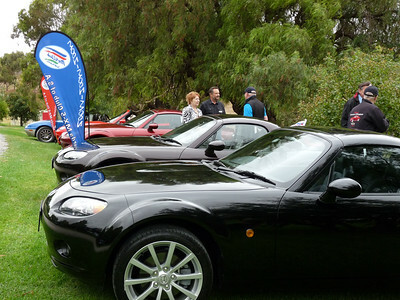 Our initial group of 11 MX-5s were joined by an unexpected visit from Fletcher Bolton in his recently highly modified black MX-5 (NC) hardtop. 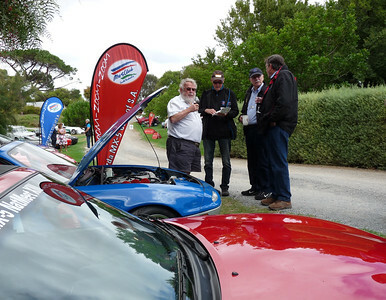 Delighted to hear that Fletch is re-joining the Club and that he’s a possible starter for the Peter Hall Memorial 6 Hour Regularity Relay in May. 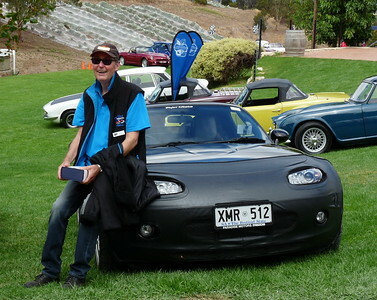 Roger & Lynne Trethewey came in their beautiful V8 powered Bolwell and Garren Harrell was seen driving his recently acquired Rover V8 powered TVR. 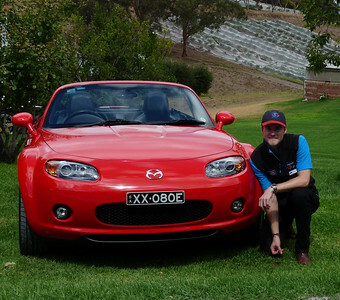 (The good news is that Garren will continue to compete in his black NB MX-5 in which he has been so successful). 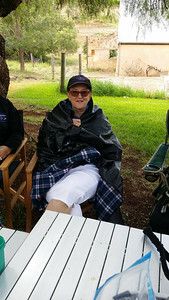 Good to see Lynne out and about again after an injury that has laid her low for a few months. 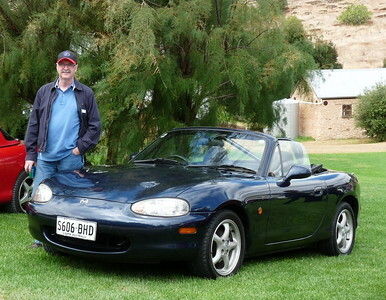 As an aside, a friend of Garren Harrell’s (David Whiteside) arrived later in the day in a red MX-5 (NB) hardtop which turned out to be the car that was once owned by Allen Weber – then via a circuitous route by Garren. 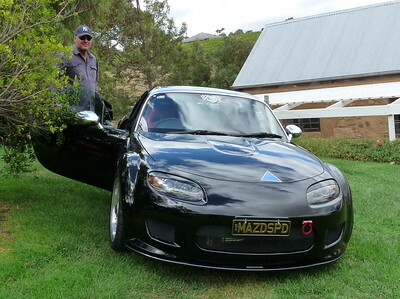 I understand that David is intending to enter the ex Allen & Garren MX-5 in Supersprint events at Mallala this year. 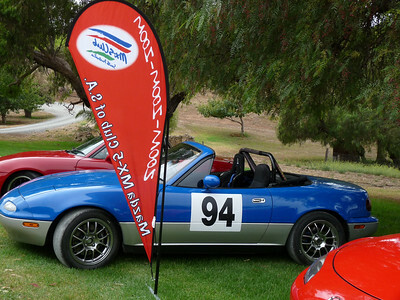 This car knows its way around Mallala extremely well and it will be great to see another MX5 competing in Supersprint events! 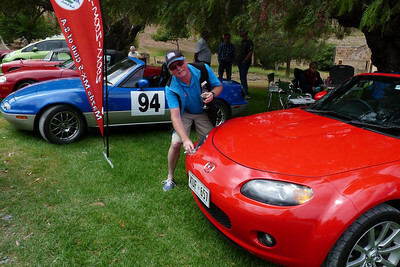 And..... Would you believe David Paxton the owner and MD of Paxton’s Winery also has an MX-5. 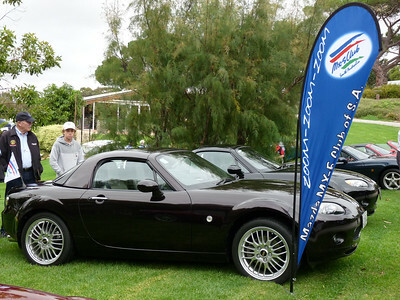 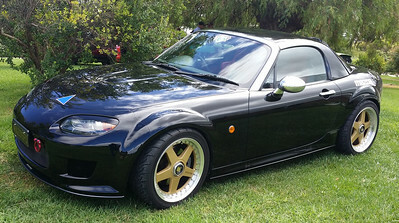 A very nice BRG NB which he is rumoured to have been given as a birthday present. 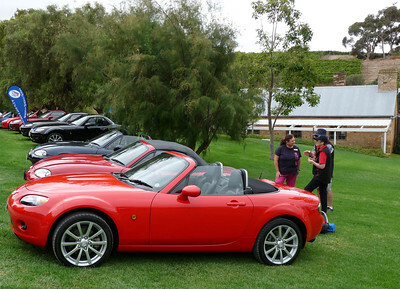 What an amazing coincidence. 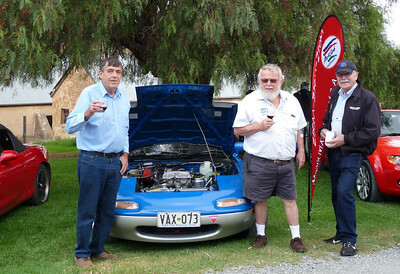 Two wineries in one week with the owners of both owning MX-5s. 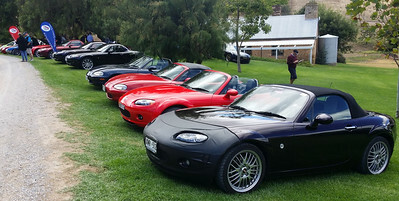 Must be something about wine and MX-5s. 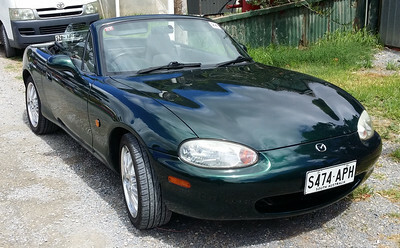 That said, I was stopped at an RBT on the way home but – after admiring my car and asking some questions about MX-5s – the policeman was happy to send me on my way. 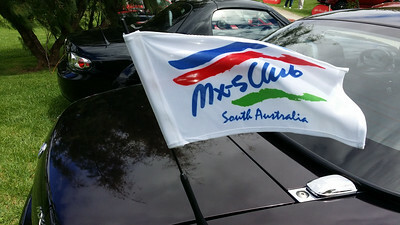 More MX-5s are campaigned in motorsport throughout the world than any other single make of car and once again the proof of “why” became obvious when trophies were presented. 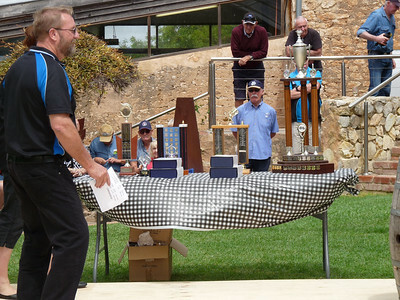 Club Member Garren Harrell was awarded the 2017 Supersprint winner’s trophy for Group C and fellow Club Member Chris Gascoigne received the 2nd place award for the most consistent Supersprint driver in 2017 (Received on his behalf by Ian Duncan). 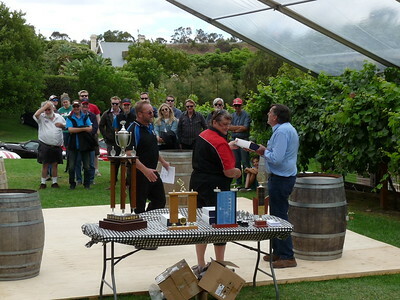 Congratulations Chris & Garren – very well deserved.